Close to the center of Tyon, good space and fair cleanees. Gave us a room in another apartment building, not the same name of Central City Apartment. Quadruple room size is big. Good location, close to subway. Little kitchenette for cooking. The only positive thing is pricing here. We had a late check out, pretty late vs other places we have stayed, made the ferry trip after the stay line up nicely. Very clean and newly renovated, good non-central but convenient location. I liked the comfort, heating, cosiness and the appartment ammeneties (the small kitchen). 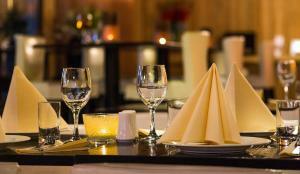 The staff was great and location was excellant (walking distance to the center and next to Toyen metro station). I liked how the room was very well-equipped and clean. The room was cute and comfortable. It really felt like a second home when we would come back from walking all day and night. The hotel room was clean and we didn’t have any issues. Staff was extremely nice and helpful. Clean and nice room. neighborhood.Close to subway and walking distance to downtown. Central City Apartments This rating is a reflection of how the property compares to the industry standard when it comes to price, facilities and services available. It's based on a self-evaluation by the property. Use this rating to help choose your stay! One of our best sellers in Oslo! 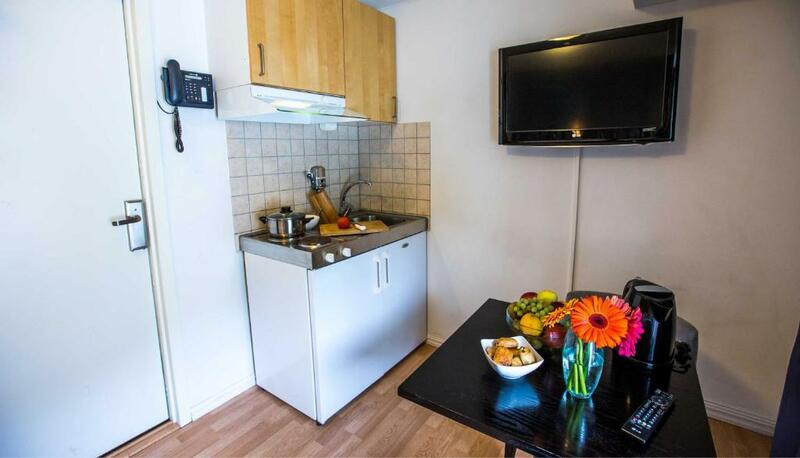 Central City Apartments is located in the Kampen district of Oslo, just 2 minutes’ walk from Tøyen Metro Station. It offers modern accommodations with a flat-screen TV and private bathroom. 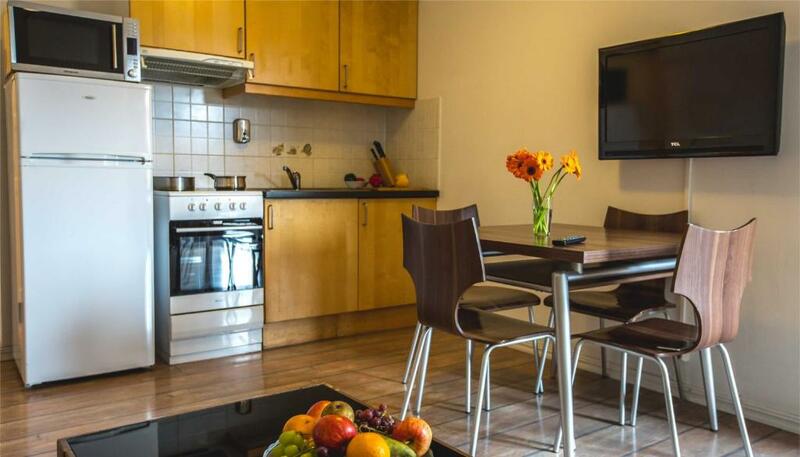 The apartments and studios feature an open-plan kitchen/living room with cooking facilities and a seating area. There are also basic guest rooms. Linen and towels are included. A free internet computer is available in the lobby. Oslo Central Station is a 4-minute metro ride away. Tøyen Park is a 3-minute walk from Central City Apartments. 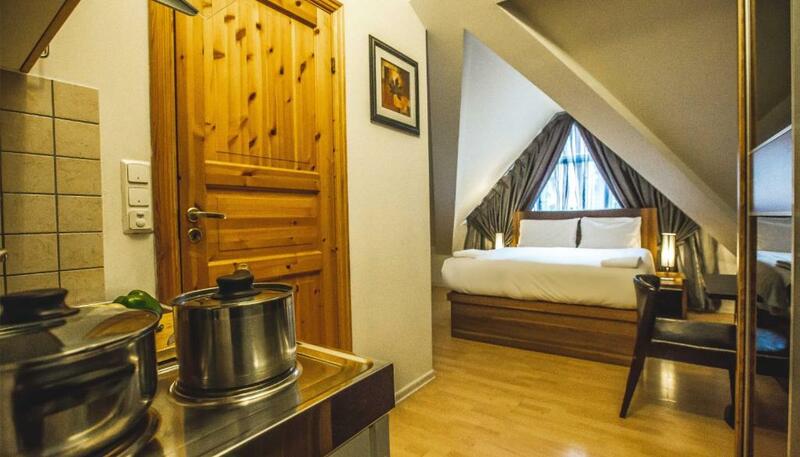 Gamle Oslo is a great choice for travelers interested in convenient public transportation, city walks and scenery. When would you like to stay at Central City Apartments? Includes a flat-screen TV and kitchenette with a stove top and fridge. Please note that the fridge does not have a freezer. Private parking is available on site (reservation is not possible) and costs NOK 250 per day. Includes a kitchen, dining area and flat-screen TV. Includes a full kitchen and a flat-screen TV. Please note that the third bed is either a foldaway bed or bunk bed. Please also note that the fridge does not have a freezer. This studio offers a kitchenette, private bathroom and TV. This room has a private bathroom with shower and TV. 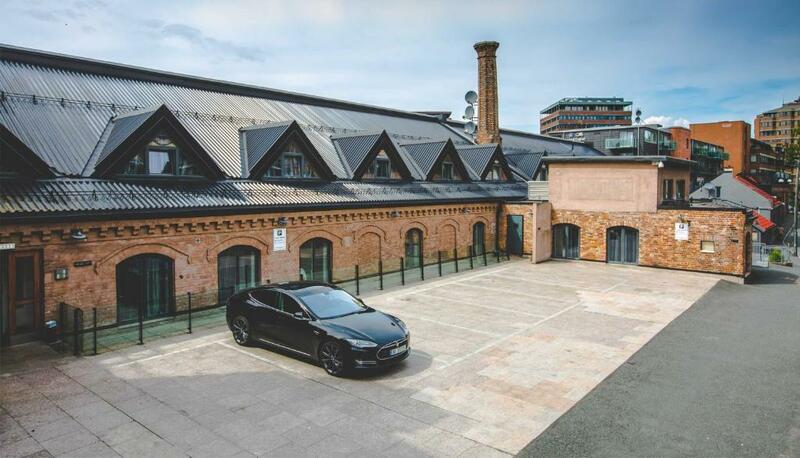 Central City Apartments is a newly opened hotel situated in Kjølberggata 29C in Tøyen. Our 60 elegantly designed and newly furnished guest rooms are all equipped to satisfy your every need while staying with us. We wish to be more than just a nice and comfortable bed to sleep in. 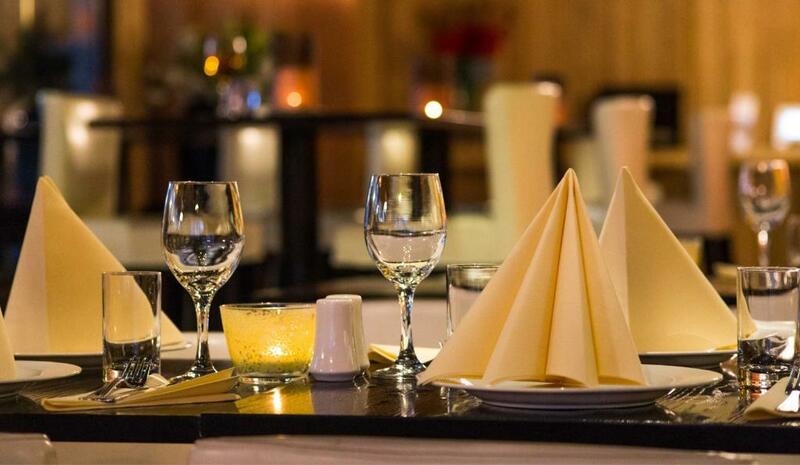 Staying with us you can enjoy a nice evening in a calming environment with a good ambience. In our new lounge you can treat yourself to a nice glass of wine. If you should find yourself hungry, there is no need to despair,our excellent chefs will make you a delicious meal in our restaurant, TAVA. All of our rooms are equipped with wireless internet and flat-screen TVs. Are you travelling for business and need a quiet and peaceful place to work and sleep ? All of our rooms have desks and wireless internet. House Rules Central City Apartments takes special requests – add in the next step! A NOK2000 damage deposit is required on arrival (around USD234.88). This deposit will be fully refunded 7 days after check-out, as long as there isn't any damage to the property. Central City Apartments accepts these cards and reserves the right to temporarily hold an amount prior to arrival. After booking, you will receive payment instructions from Central City Apartments via email. Please note that a refundable security deposit will be charged upon arrival and returned upon inspection. Cash payment is not accepted at this hotel. The reception, restaurant and bar are located at Best Western Kampen Apartment Hotel, right next to Central City Apartments. Please note that only weekly cleaning is included in the room rate. Additional cleaning can be arranged at an additional cost. Please inform Central City Apartments of your expected arrival time in advance. You can use the Special Requests box when booking, or contact the property directly using the contact details in your confirmation. 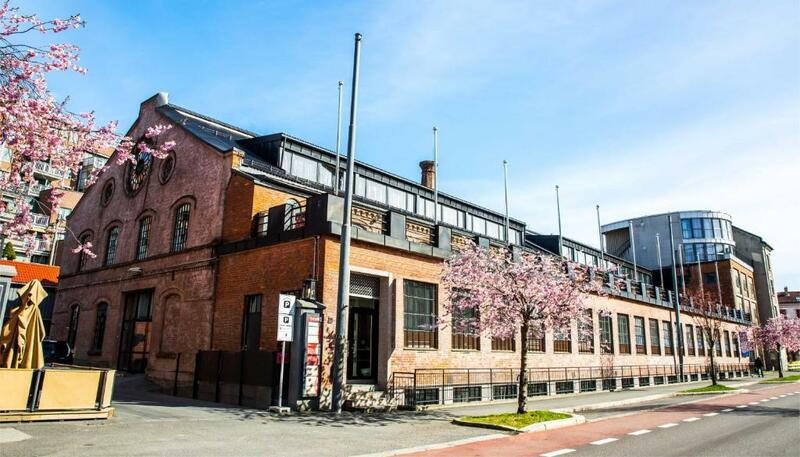 Please note that check-in and key collection take place at: Kjølberggata 29C, Oslo 0653. A damage deposit of NOK 2000 is required on arrival. That's about 234.88USD. This will be collected by credit card. You should be reimbursed within 7 days of check-out. Your deposit will be refunded in full by credit card, subject to an inspection of the property. Bit smelly maybe lack of ventilation. Convenient check in and out. Fully equipped. Spacious room and out of expectation. English news channel on TV? Handy location just around corner from Toyen T-Bane, easy arrival and departure, spacious room with two single beds, kitchenette with some basics allowing some simple meal prep in evening; very clean, good value. The first room they gave us was not cleaned. We told them the situation and thankfully they gave us a new room. It was so close to anywhere. During our trip we never used any transportation except airport train. However it was mentioned that it is just a kitchenette and not a real kitchen I would have expected more facilities and tools in the kitchen. The common room was a bit dark for us but otherwise it wasn't any big problem. It was really practical for two couples. 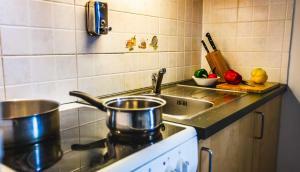 We could save a lots of money with the kitchen because we could cook for ourselves. I like the structure of the apartman and the location was also really convenient. We disliked to be asked to pay to get another room. In fact, we got an appartment with broken windows and mentionned it after our first night. Because we noticed it thanks to the cold I got. It wasn't secure by the way. We wanted to change because we were staying there for 3 nights, and it wasn't us who broke these windows. We were told that they didn't had others rooms than one at the 3rd floor without lift. Quite impossible with an eldery person of 79 years old. After telling at the entrance office that It was impossible because of the access; they ask us to pay to get a room in another building. So it has been quite unfair. We didn't received any compensation. We appreciated the employees smile and sympathy. We had everything: separated bedroom, fully equipped kitchen and bathroom. It worths its price. Accommodation was adequate. Very close to the Metro, so although not central, it was just 2 stops on the Metro to Oslo Central Station. Excellent cafes and bakery within 2 minutes (beside Metro). Mattresses were quite dirty. The lamps above beds were unbelievably dusty. Housekeeping available only after 6 days of stay? Not too far from city centre. Spacious and sound proof room. I got all I needed, a nice big room with a nice bathroom both very clean. A good night sleep except for a couple of noicy motorbikes outside that woke me up. Amenities in the apartment were very basic so it is ok for having snacks and cups of tea, but not so much for cooking a meal. Excellent value for money. Near metro/ tube station with nearby restaurants and grocery store. Rooms were spacious and good for big groups. The toilet was smelly and the overall cleanliness of the apartment was not very good. There was no coffee or tea to make hot drinks. There was no towel for doing dishes when cooking which was distracting and no oil, salt or pepper. Toilet paper wasn’t very nice. A microwave and toaster would also push up their rating. The apartment was a bit bigger than I had expected. The beds (singles) were comfy enough. There was a laundry room to use for free with a washing machine and dryer. This was handy as we have been travelling for several weeks I need a place to do washing. The apartment came with a stove top and pots for cooking- this was needed as Oslo is extremely expensive to eat out. There was a kettle to make hot water.